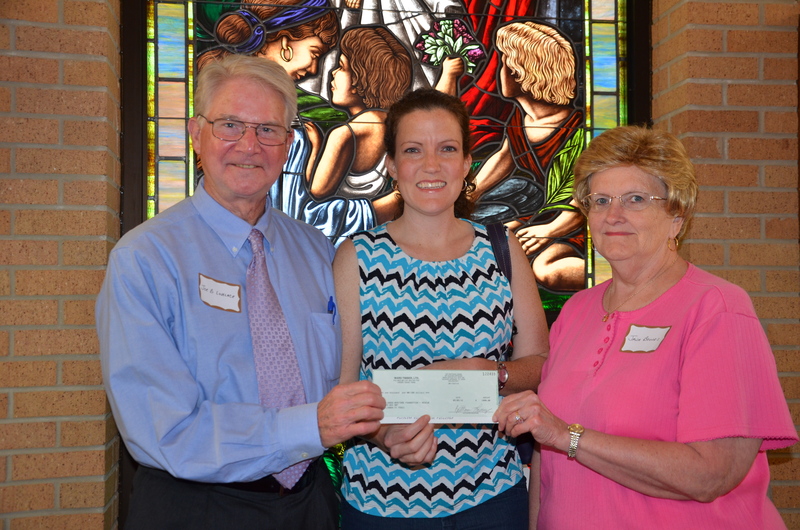 Brittanie Ward Lowery (center), Administrative Assistant of Ward Timber Company, present check to Linden Heritage Foundation Officers Joe B. Lovelace (left) and Jana C. Bounds (right). Linden Heritage Foundation recently accepted a generous contribution to help rescue Linden’s 1939 Firehouse. Ward Timber Company of Linden has donated $1,000 in recognition of the role fire departments play in protection of our structures and woodlands. Recently, the Linden Firehouse was preliminarily selected by the Texas Preservation Trust Fund for a crucial Project Planning Grant. To raise the necessary match money for that grant, the Linden Heritage Foundation established the Firehouse Rescue Fund. The overall plan is to restore the Firehouse in a way that retains its eligibility to the National Register of Historic Places, improve the visual appearance of downtown Linden, and give the City a commercial shot in the arm. Because of the building’s historical significance, it is possible to move in this direction using tax money we have already paid to our state and federal governments. Conceptual computer-rendered image of 1939 Firehouse after restoration by Lucas Allen. The immediate state grant available to the Firehouse is designed to fund planning services by an architect possessing the type of credentials required by the Texas Preservation Trust Fund on projects chosen to receive public funding. Planning work done under this grant will also serve to keep the Firehouse on track for a possible “Full Restoration Grant” the following year. We hope you will honor the town of Linden with a gift of your support to rescue, restore, and reimagine our Old Linden Firehouse of 1939. Interested parties may donate to the Firehouse Rescue Fund by check made out to Linden Heritage Foundation – Rescue, PO Box 507, Linden 75563. Donations by credit card are also welcomed. 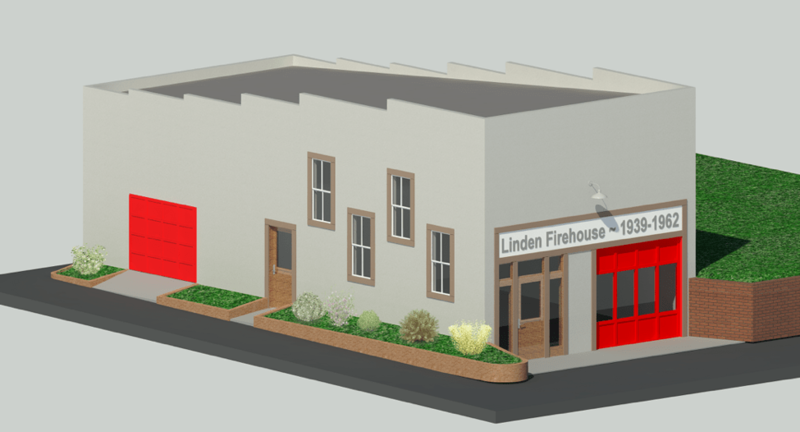 Your gift to this Firehouse Rescue Fund will play a lasting role in helping Linden honor its unique heritage, prosper commercially, create jobs, and become all it can and should be.